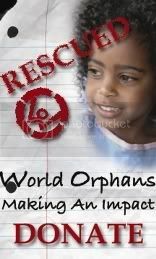 Just last week, World Orphans secured a location for our new guesthouse in Port-au-Prince, Haiti. With the introduction of the Haiti Orphan & Vulnerable Child Program (OVC) we saw a need for an inviting and restful place for the visiting church ministry teams to stay. World Orphans desires that this guesthouse be a place of rest, connection, support, encouragement, nurture, and preparation for service. Through the generous support of one of our churches we have a beautiful home leased to serve as our Haiti Guesthouse but we need to raise $8,000 to secure a generator, create a secure environment, buy appliances for the kitchen, get furnishings, and the various other items needed. We have a team arriving at the guesthouse on June 11th ready to put in the work to make this place a temporary home for our first mission team that will arrive on the 18th. You can not only give a gift online, but on our new World Orphans web site you can create your own fundraising campaign that lets you make a customized fundraising page, set a monetary goal and then just share the link with all your friends and family and ask them to help you meet your goal.